Find out what’s new at Mount Sopris Instruments! Sign-up for our monthly newsletter and be the first to learn about new products, upcoming events, and special offers. Mount Sopris geophysicist Lia Martinez recently traveled to Vietnam where she met with a Hydroelectric Energy company (Electricity Vietnam EVN) and their geologists for OPTV optical televiewer training. 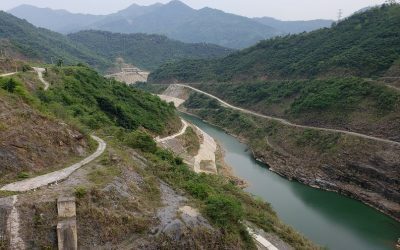 The focus on developing and maintaining safe hydroelectric power in Vietnam has become a national priority. Meet us in beautiful Brazil for Simexmin Mining Exploration 2018! Don’t miss meeting Mount Sopris with Brazilian Representatives Holtzapple Consultoria at the Simexmin Mining Exploration Conference next week in Ouro Preto, Brazil. The show will run from May 20th to 23th and there will be WellCAD trainings on May 20th and 24th. Come see Mount Sopris in Booth #1. Have you always wanted to work in International Logistics, but without the Corporate structure? We are looking for Logistics Coordinator who will work in our shipping department processing the shipping and receipt of goods. This person will be responsible for making sure orders are packaged correctly, documentation is created accurately, ensuring stock and other materials are being moved through the facility efficiently and safely. With the latest WellCAD 5.2 version developed by Advanced Logic Technology users can get access to the Casing Integrity add-on module allowing access to a collection of processing tools and a workspace designed for Multi-Finger-Caliper and Ultrasonic Acoustic Televiewer data. Mount Sopris Instruments has been working with GeoSpec Drilling on a variety of groundwater projects throughout the state of Nebraska. In order to supplement their investigation, GeoSpec rented the new 60mm Borehole Nuclear Magnetic Resonance (NMR or BMR) system. ALT, together with its sister company Mount Sopris, will be attending the EAGE-HAGI 1st Asia Pacific Meeting on Near Surface Geoscience & Engineering in Yogyakarta, Indonesia, from the 10th to 12th of April. Join us to learn about WellCAD Software and geophysical borehole logging! Creative & Human Incorporated (C&H Inc) from Seoul, South Korea have developed a very strong geophysics specialty, selling and supporting many geophysical instruments from manufacturers around the world. Mount Sopris Instruments was fortunate to meet C&H many decades ago through geophysical conferences. New Intelligent Winch with 2500m Capacity Now Available! Mount Sopris Instruments is pleased to announce the release of an innovative new 2500-meter (8200-feet) logging winch – the Intelligent Winch Assembly or IWA. Not only does the IWA increase the range of our best-in-class winches, but it also sets new standards for ease of use, safety, power, compactness, and durability.